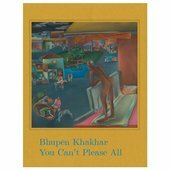 Renowned for his unique figurative style and incisive observations of class and sexuality, Bhupen Khakhar (1934-2003) played a central role in modern Indian art and was a key international figure in 20th century painting. This landmark exhibition showcases vivid works on canvas, luminous watercolour paintings and experimental ceramics. An accountant-turned-artist, Bhupen Khakhar demonstrated a commitment to representing his world with unflinching honesty. 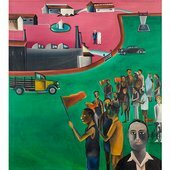 High and low merged in narrative paintings with influences ranging from devotional aesthetics and street culture to European painting and pop art. He confronted provocative themes, particularly his sexuality, with rare sensitivity and wit. 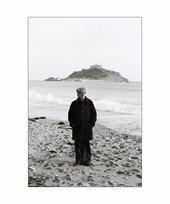 Haunting portraits of ordinary men and last works describing his struggle with cancer express a rare humanity. 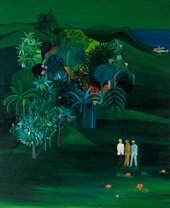 Bringing together Khakhar’s work from across five decades and collections around the world for the first time since his death, this is a unique opportunity to discover his extraordinary work and inspirational story.